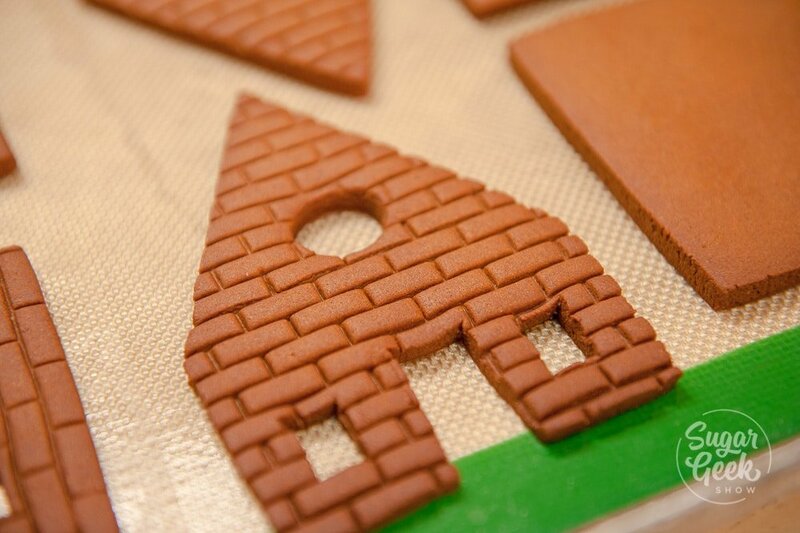 Have you ever wondered how those amazing gingerbread houses are made? Seems pretty impossible considering most kits fall apart the second you put the frosting on. Not this recipe! 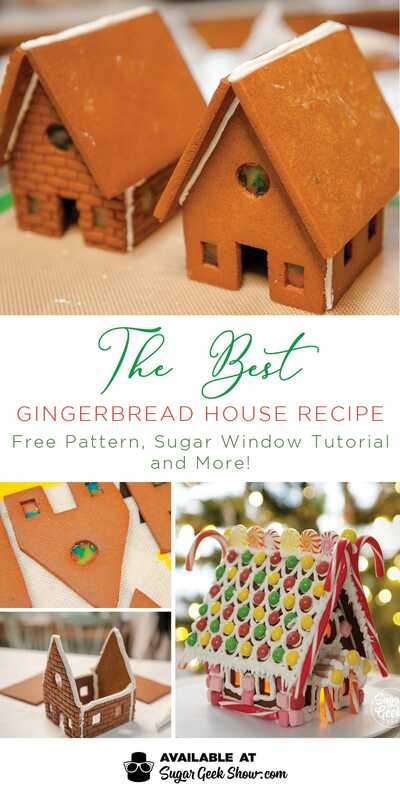 This gingerbread house recipe is SO strong! I made my house three weeks ago and it’s still standing strong. I’ll let you in on a little secret, not all gingerbread is created equal. 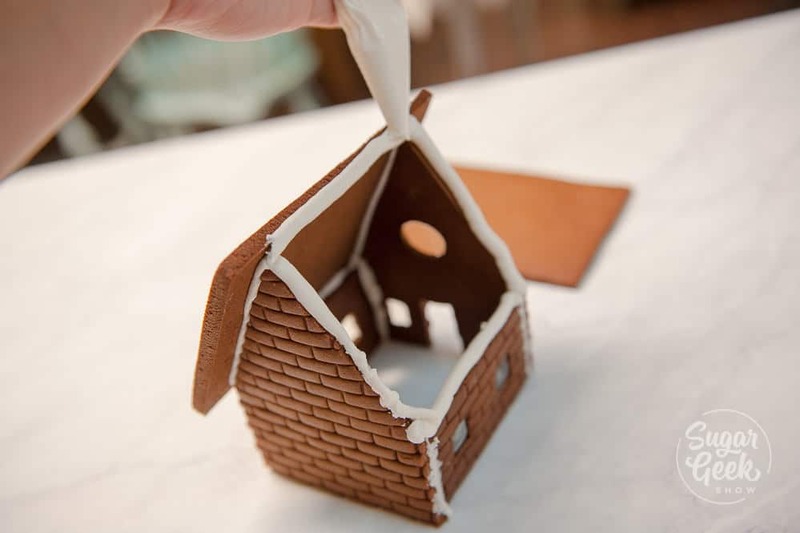 You might be surprised to find out that the gingerbread that is used to make those amazing houses are made with something called “construction gingerbread” meaning it’s not meant to be eaten and is really only for building. So if you try to build a gingerbread house from regular yummy gingerbread cookie dough, you might find your cookie dough spreading or cracking when you try to assemble the house. 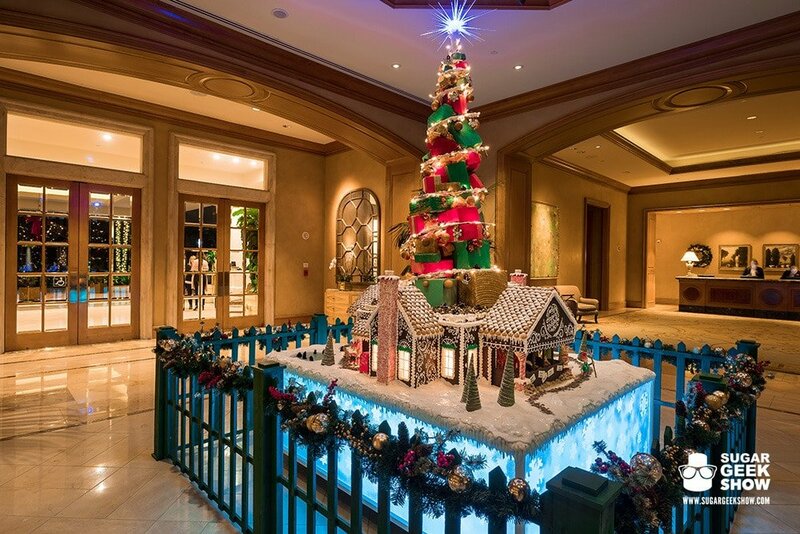 This is the gingerbread house recipe that I got from my friend Christophe Rull who is the head pastry chef at the Parky Hyatt Aviara in San Diego. 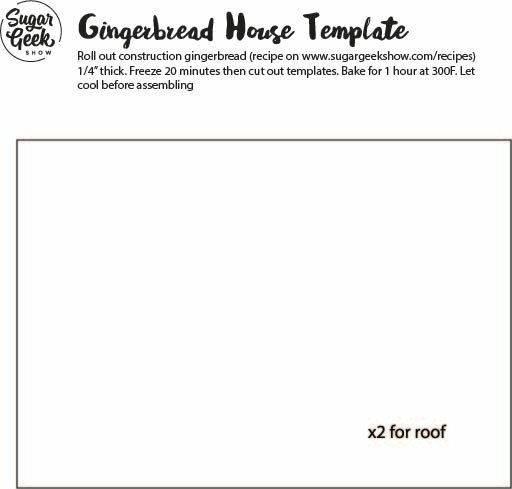 We used this recipe to build a gingerbread house that was over twelve feet tall! Granted we had a structure underneath because the house had to be on display for over a month but still, it was the best structural gingerbread I’ve ever used! Christophe has graciously shared his recipe with me so I can give it to you guys! 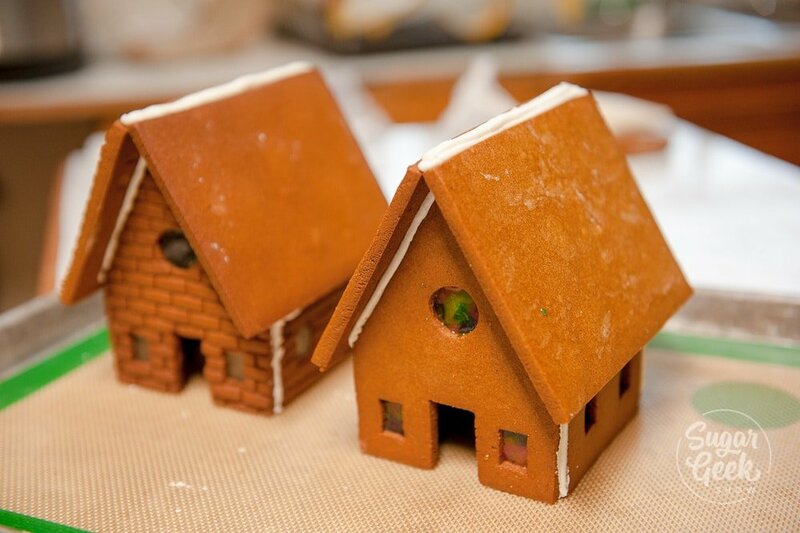 So you can make some amazing gingerbread houses too! First we need to get all our ingredients together to make the gingerbread house recipe. You probably already have all the ingredients you need in your pantry but check for molasses since that isn’t used very much anymore and you’ll need quite a bit. Molasses actually gives the gingerbread that nice dark gingerbread color. 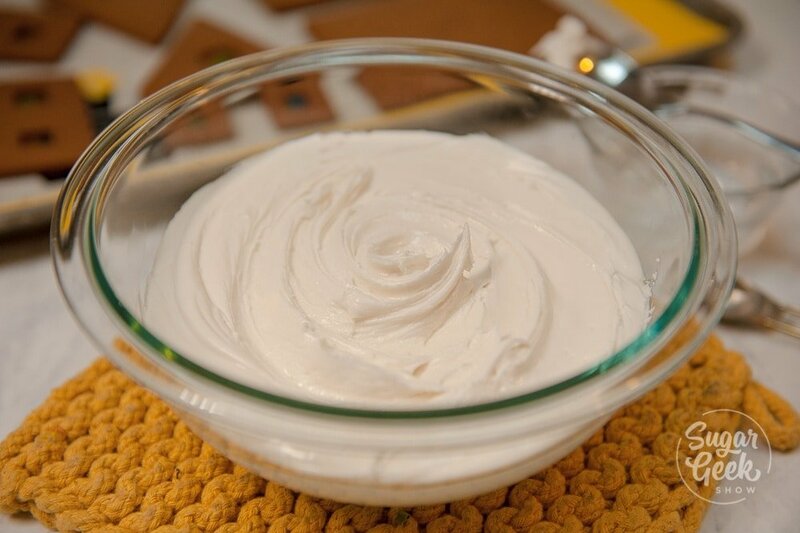 This gingerbread house recipe also uses shortening so make sure you have that on hand. 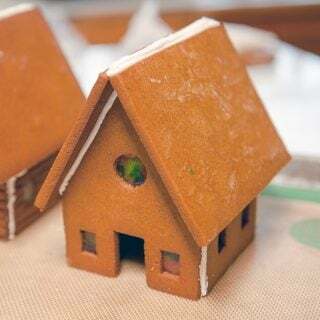 Since we’re not eating this gingerbread house, you could really skip all the spices but they add a nice color and scent to the house that looks and smells really nice! Next you need to melt your vegetable shortening. I do this in the microwave. We’re not looking to make the shortening really hot, just get it melted. 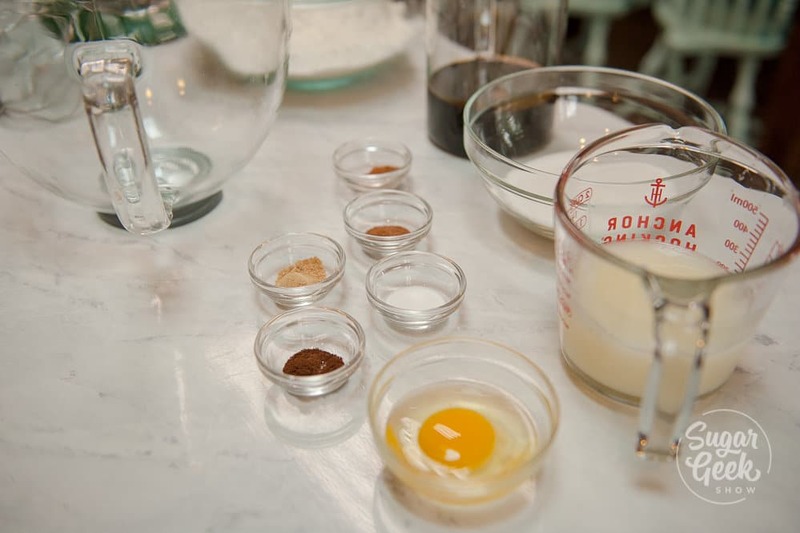 Then mix the shortening with the molasses and the sugar and then add in your egg. I like to do this in my kitchenaid with the paddle whisk attachment. Now you can combine the rest of your dry ingredients together and add them into the bowl. Switch to the paddle attachment and mix until you form a ball of dough. Don’t over mix it. Now I usually divide my dough in half because it makes quite a bit. I roll the first half of my dough out to 1/4″ thick directly on top of a silicone baking mat. 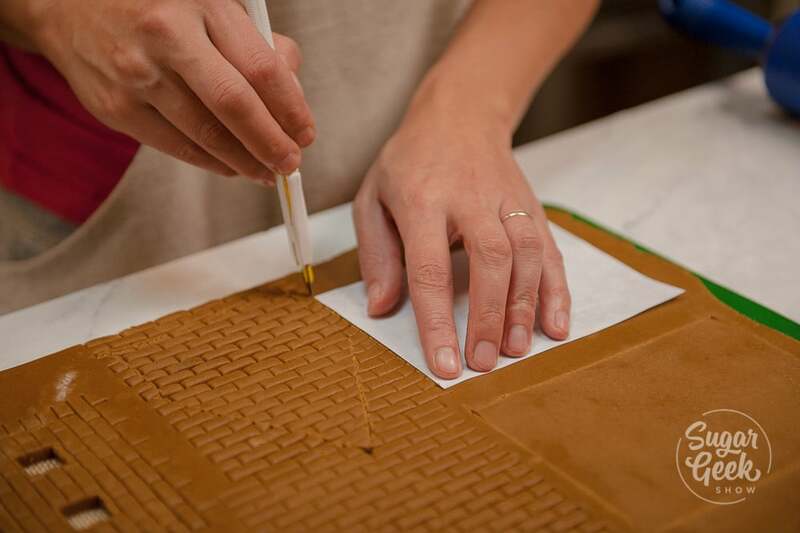 I like using a silicone mat instead of parchment because I like to make sugar windows later and they stick to parchment. 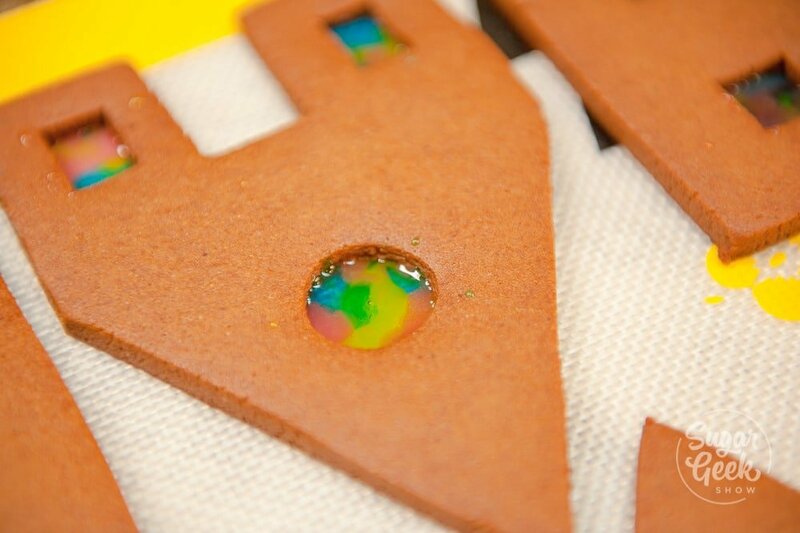 You can use parchment but you’ll need to move your pieces onto silicone if you want to pour in sugar for the windows later. After the dough is rolled out, you’ll want to put it in the freezer for about 20 minutes. This just makes cutting out the templates a little easier and helps them to hold their shape. I try to keep my pieces pretty close together without being TOO close or they might touch during baking. This recipes doesn’t spread but it does puff a tiny bit. Keep your leftover dough for later. 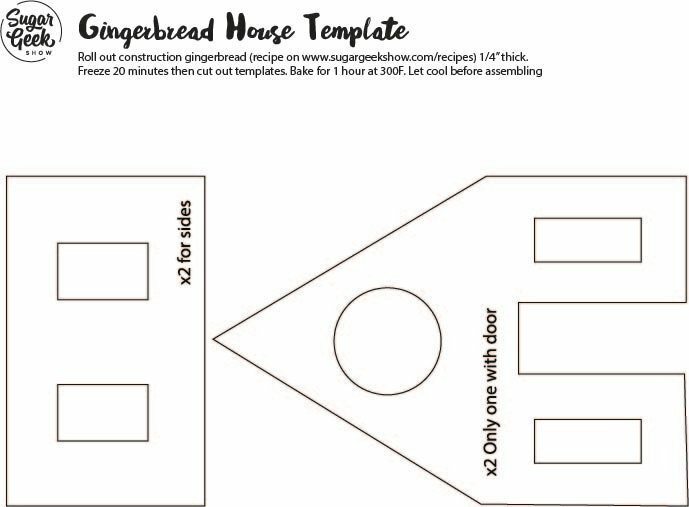 I have a gingerbread house pattern that you can use to make your own gingerbread houses. I know it SEEMS very small but once it’s assembled, its actually the perfect size for an individual gingerbread house to decorate. 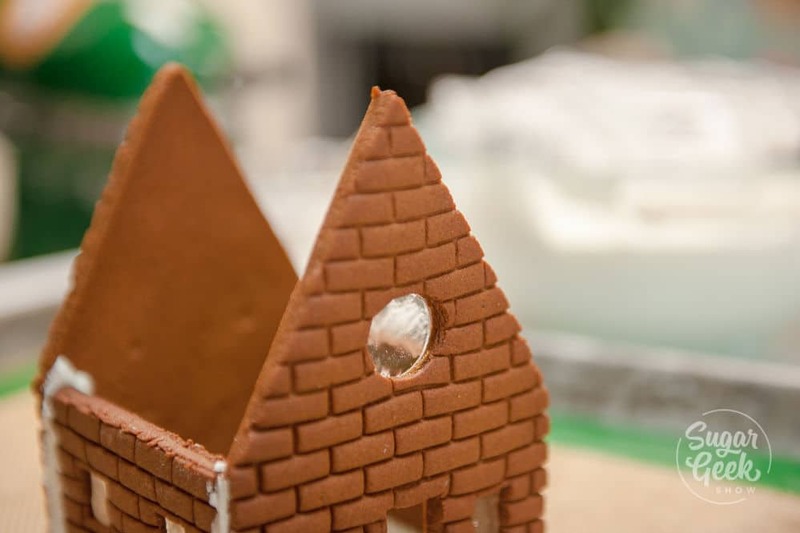 One gingerbread house recipe will make three gingerbread houses. 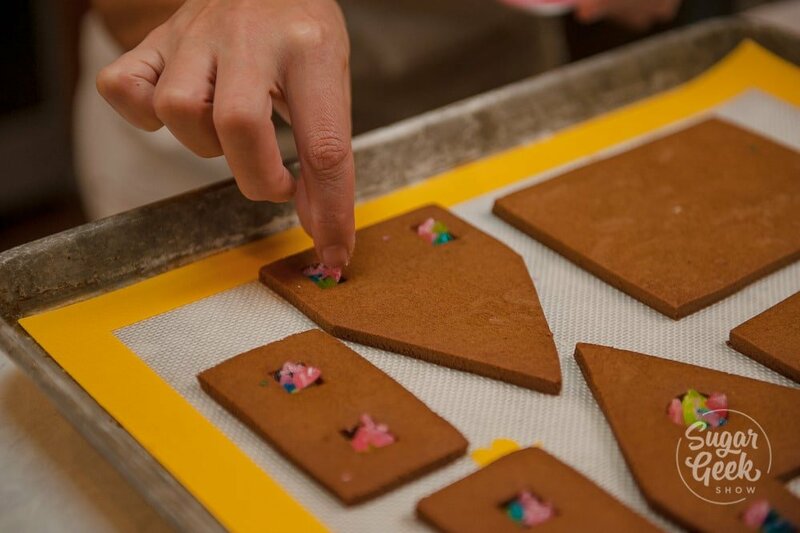 Take your chilled dough from the freezer and lay your gingerbread house pattern on top. Don’t put them too close together or they will touch when they bake. 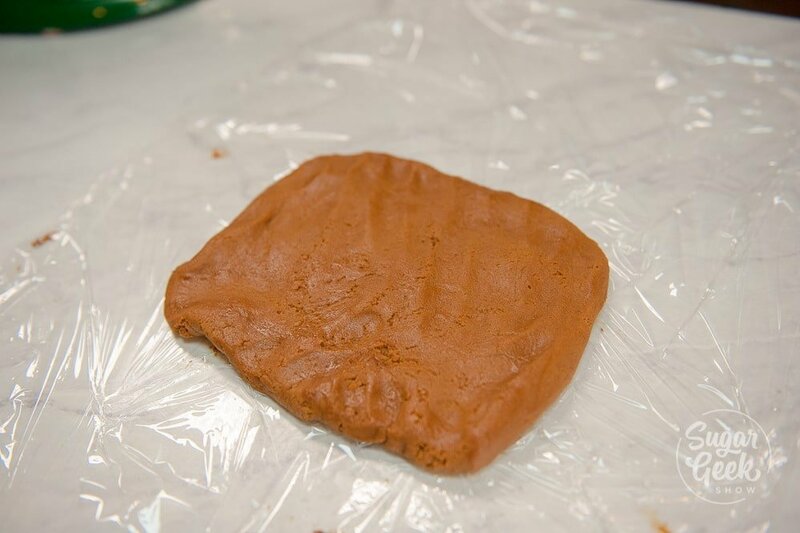 If you want to add a brick texture, now is the time to press it into your dough, BEFORE you cut. I used a x-acto knife to cut mine but any small knife works. Just don’t cut through your silicone mat! Peel away the excess dough and set it aside to roll out for the other houses. Bake the pieces in an oven at 300ºF for 50-60 minutes. Let cool fully before picking up to avoid cracks. 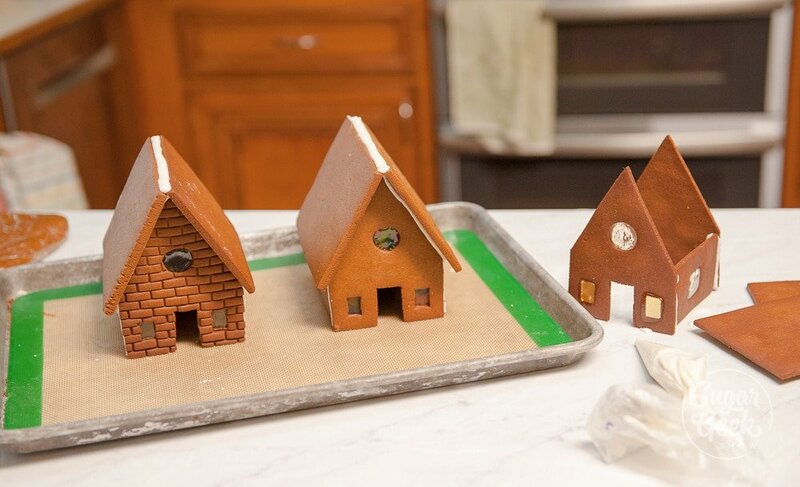 Use your leftover dough to make the third gingerbread house. For one of my houses I used a brick impression tool. I like this one in particular because it has nice sharp edges and doesn’t distort the gingerbread cookie dough when you push it in. I got mine from Nicholas Lodge. 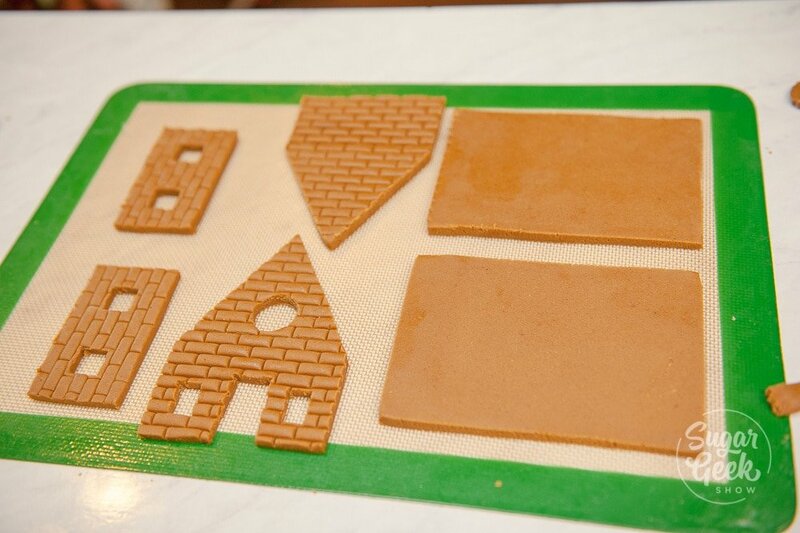 I just pressed the embossing tool into my cookie dough before baking to get this awesome brick texture on my gingerbread house walls! I love how it turned out! 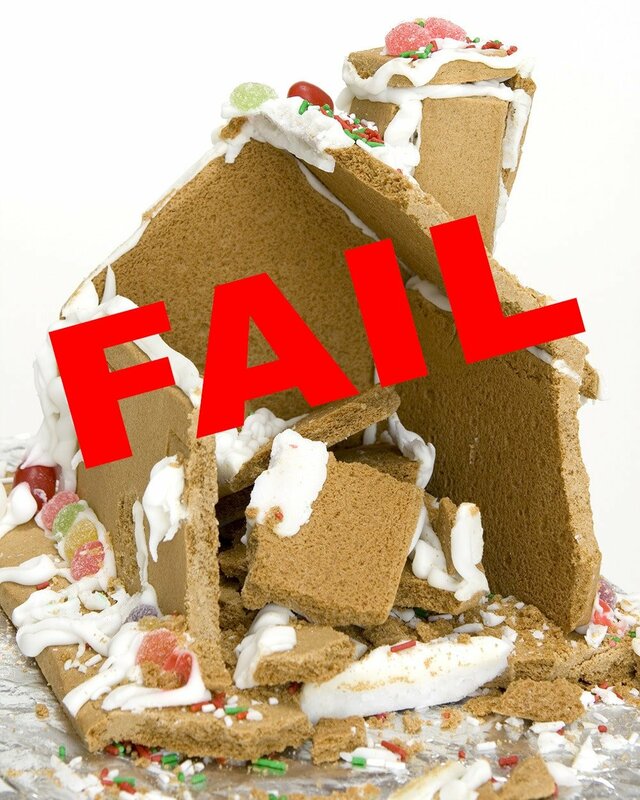 If you’ve ever tried to put together a gingerbread house, you know it can be a bit challenging! The main thing you need is some THICK royal icing and some patience. First I recommend making up a batch of my royal icing. The stuff they sell in the kits is too soft! Place some of the royal icing into a piping bag and cut off the end to make a small hole or use a #2 piping tip. Pipe a line on the sides of the front and back piece right along the edge. Don’t be skimpy with your royal icing! Attach the side wall and place it on a flat surface. Now attach the other side wall. Then you can put on the back piece. Wipe off any excess royal on the outside but the inside should have lots. Even add more if you want! I let this dry for an hour or so before adding the roof just to be safe. To add the roof, I pipe some royal along the top edge of one side of the house then add the first part of the roof. Then I pipe royal to the second part of the house and along the top edge of the first piece of the roof and add the final piece of the roof. Let this baby dry overnight before you start adding candy so that it’s rock solid. Once your gingerbread house is assembled you can start decorating with all kinds of candies and colored royal icing! I LOVE this gingerbread house by Freed’s Bakery and will some day attempt something like this. I’m in love with all the colors of the icing and the creative use of candy. If you want more gingerbread house ideas check out my 25 best gingerbread house ideas post. 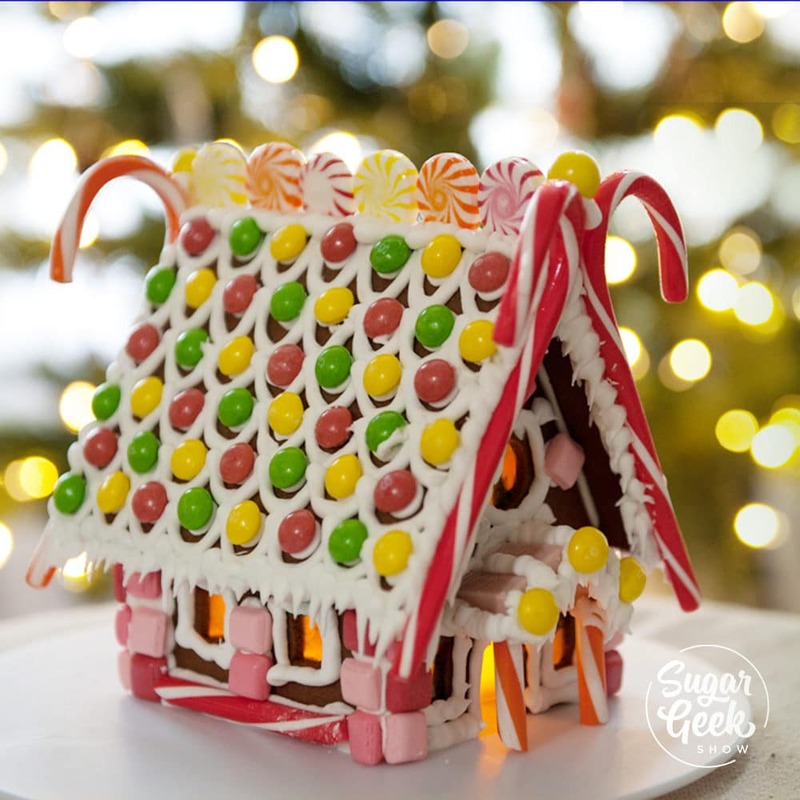 You definitely don’t HAVE to put windows in your gingerbread house but if you’re extra like me (which I feel like you might be) then you’re going to want to make some awesome windows for your gingerbread house! lucky for you it’s SUPER easy! 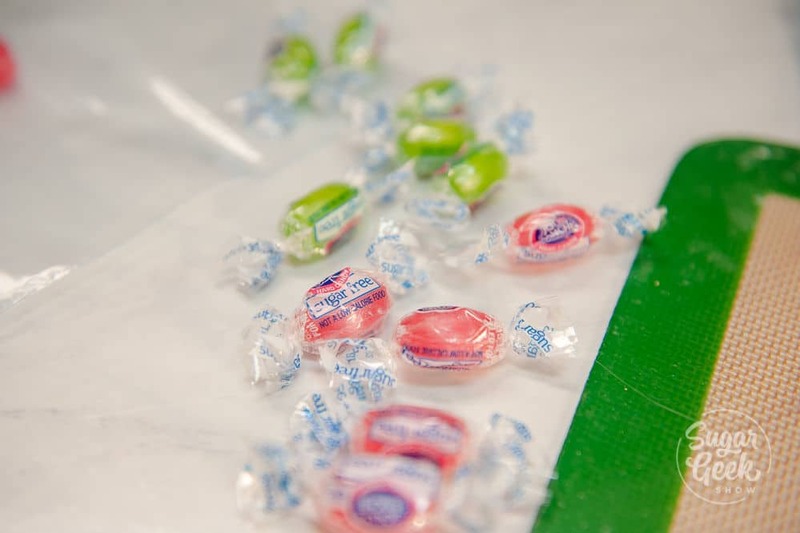 All you need is some hard candies but the trick to windows that stay nice and clear is to use sugar free candy. 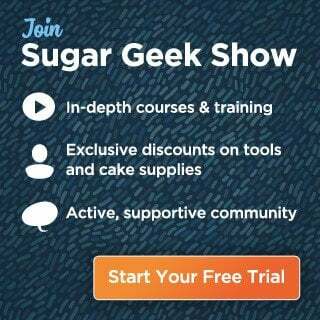 Sugar free candy is made with something called isomalt and is actually more resistant to clouding than traditional sugar. For my windows I used sugar free jolly ranchers and hard candies in pink, blue and green. I broke them up into smaller pieces with a mallet inside a plastic baggie so the pieces wouldn’t go flying. Then all you have to do is put a few pieces of each color into the cut out of your cooked gingerbread. Don’t be afraid to fill it up because it thins out a lot once it’s melted. I put the candy into the cutout areas during the last 5 minutes of baking. If they aren’t completely melted then you can do another minute but don’t leave them in too long or they will burn. Let your cookies completely cool before removing the silicone baking mat from the back. Voila! 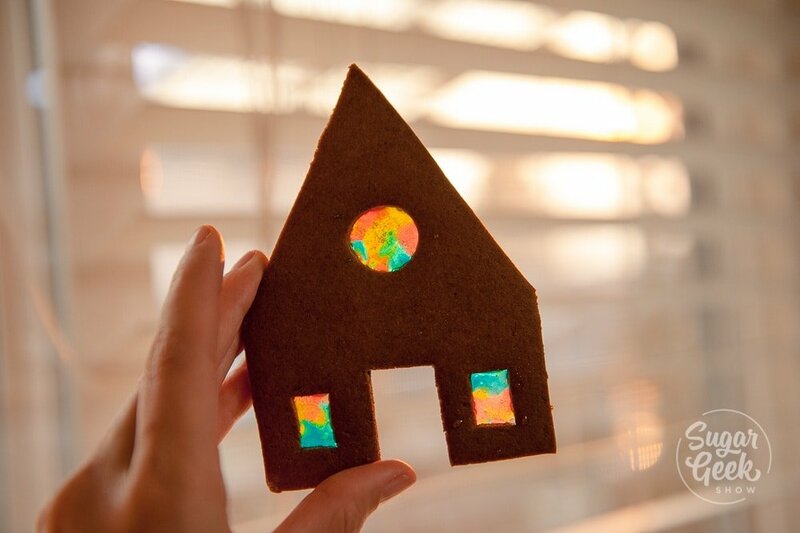 Super pretty gingerbread cookie windows! And so easy! If you want clear windows you can use clear sugar free candies or you can use isomalt. I like to buy mine pre-cooked and ready to melt from simi cakes and confections. 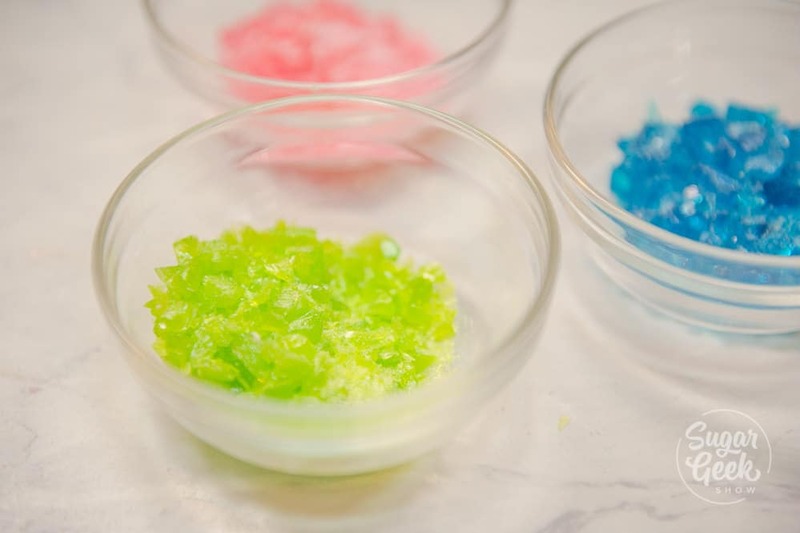 Or you can make your own isomalt from raw granules by using my clear isomalt recipe. To decorate my gingerbread house, I used a combination of a bunch of candies like M&M, hard candies, candy canes, miniature starburst candies and chocolate bars. You can use whatever candies you like, just mix and match and have fun! I used my stiff royal icing to attach the candy to the gingerbread house and let it dry overnight before I lifted it up to put the battery operated tea lights underneath. These little houses look so cute on our bookshelf and make the best decorations for the holidays! Did you run out of molasses? That’s ok! You can replace the molasses in this gingerbread house recipe with a few things. You can use dark corn syrup, honey, maple syrup or even brown sugar in place of molasses. Make sure you use the same amount by weight, not by volume (cups). I honestly have not made a lot of gingerbread houses but I feel like I could do some legit complicated designs based on what I have learned with this gingerbread house recipe and making a couple practice ones. I can’t wait to decorate these this weekend for friendsgiving! 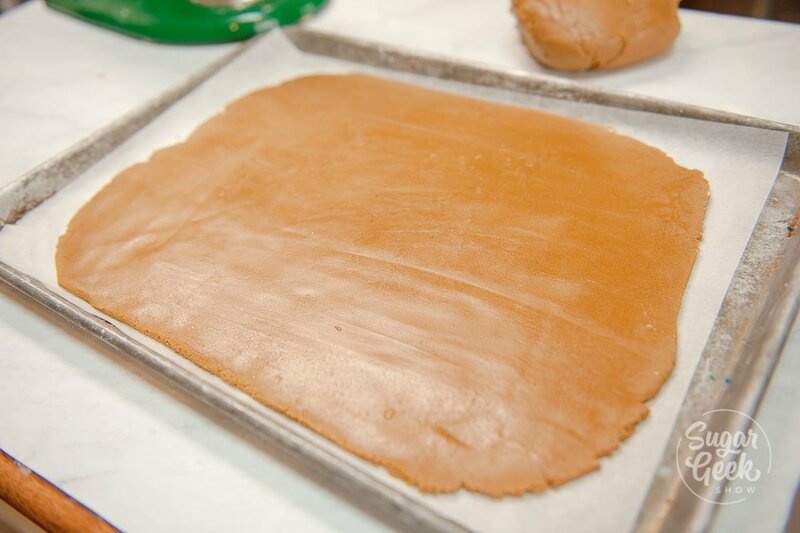 Roll out dough onto parchment paper or a baking mat to 1/4" thick. Try to make the dough as even in thickness as possible. Once gingerbread is done, remove from the oven and let fully cool before moving. Your gingerbread is now ready to be assembled. Can you please convert the recipe to cups/spoons or direct to a website that can? I do not have a scale to measure the dry ingredients. All my recipes use a scale for accuracy. Scales are very inexpensive and insure that you do not waste precious ingredients like expensive vanilla and butter 🙂 You can get them at your local grocery store or online. 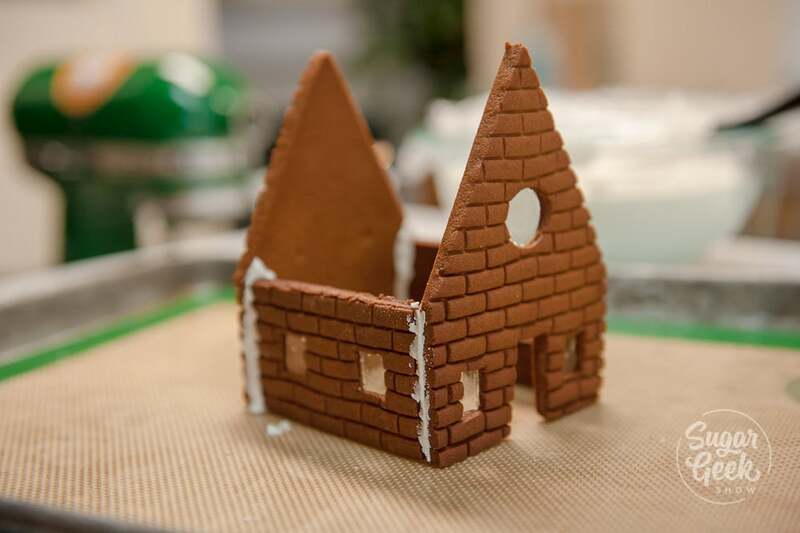 Thank you for the recipe and fantastic tips for making gingerbread houses! Hi Liz, first of all thank you for sharing. I just love your work and recipes. So just to be really sure about this. This recipe CAN be eaten? I want to make a few gingerbread houses for a bunch of school kids and I want them to be able to eat of it. Thanks and greetings from Curacao. Just curious Liz. Do you weigh all your ingredients when baking cakes as well? I have never done this before. I can see where it makes more sense and will be much more accurate. Thank you for sharing:) Just in time to make these for my granchildren. I want to make a ginger bread house but have no scales. How much is 30 oz of flour in cups? I’m so sorry but all my recipes require scales for accuracy. Better to weigh your ingredients then to waste them with inaccurate cups measuring. Wow! Perfect recipe for building a gingerbread structure!! Dried super hard! Merry Christmas to you and your family Liz! Thanks for this recipe. It was very successful, which I’m grateful for because the last time I attempted this, my pieces basically melted. I have a question though – my gingerbread turned out SUPER dark compared to your pics. I didn’t even think much of it until I happened to come back on my laptop the next day and the tab was still open. Mine almost looks like a dark chocolate cookie! It wasn’t the baking, because it was dark prior to baking – not this nice light brown color. The only thing I did was use half granulated sugar and half brown sugar, but I doubt that would’ve caused such a stark contrast difference. I also weighed in grams, converting from the listed ounces, but the conversion should have been fine since the recipe turned out. Was it the type of molasses I used I wonder? We tried the recipe 2 different ways but the smooth ball won’t seem to form and we don’t have paddle bits. Are they a necessity and is there anything we can do? Just finish it by kneading it by hand :O) It’s very forgiving!